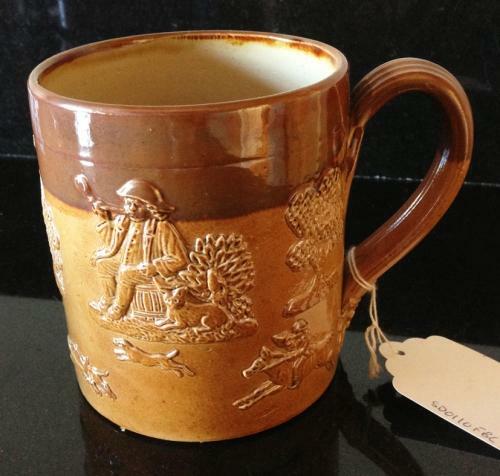 Victorian 1 Pint Doulton Lambeth Havest Mug. Condition good and clearly marked on base. Known as Harvest Ware, these salt glazed mugs were used in pubs and at harvest time for drinking ale and cider etc. They always depict country scenes. • 1 x stag with 7 x dogs chasing and 1 x man on horse.